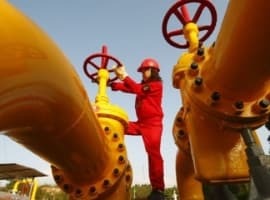 Oil prices jumped on Thursday after the EIA reported a surprise drawdown in crude oil inventories, ending several consecutive weeks of inventory builds. 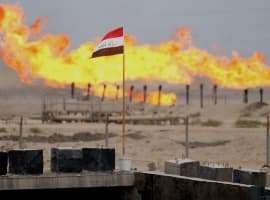 The report was the most bullish in weeks, surprising an oil market that was settling in for an extended period of stock increases on the back of soaring U.S. oil production. On the production side, things also looked more bullish than many had expected. The weekly estimates should be taken with a grain of salt, and one week’s worth of data do not equal a lasting trend, but in the most recent data release, U.S. oil output fell by 1,000 bpd – essentially flat from the week earlier. It was the first time in 2018 that the U.S. hasn’t seen a significant production increase, and because it has occurred counter-seasonally – this is typically a time when crude demand tends to soften – the report was interpreted by the oil market as rather bullish. WTI and Brent posted sizable price gains on Thursday. Interestingly, however, the inventory declines are particularly pronounced at the key oil hub of Cushing, Oklahoma, often likened to the “pipeline crossroads of the world” and home to the settlement of the WTI benchmark. The oil market downturn that began in 2014 led to storage tanks around the world to fill up with crude oil. But that was especially true at Cushing. The global oil market has been watching Cushing closely for progress in the rebalancing effort. But that obscures the fact that the declines really kicked into high gear only recently. As of November, Cushing still held more than 60 million barrels. In the past six weeks alone, Cushing has shaved off 16 million barrels. As mentioned, the stock draw came even as this typically a time of year when stocks build. Refineries tend to go offline for maintenance and retooling ahead of peak summer driving season. Indeed, the weekly data from the EIA showed another dip in refining runs. And the IEA and other energy analysts have warned that inventories would climb significantly in the first and second quarter. That makes the stock draw all the more notable. “Even a lower rate of crude oil processing and high crude oil production could not balance this out,” Commerzbank analysts wrote. One reason for this could be the shape of the futures curve. Because WTI and Brent are in a state of backwardation – in which front-month oil futures trade at a premium to futures further out – it is not profitable to store oil. Stashing crude in storage, paying the fees to keep it there, only to sell it at a later date at a lower price doesn’t make a ton of sense. “Part of that (inventory fall) is the shape of the oil curve which makes it uneconomic to store product,” Greg McKenna, chief market strategist at futures brokerage AxiTrader, told Reuters. So, even as we are in a soft season for oil demand, oil prices have the downward sloping futures curve working in their favor. Nevertheless, the price bump from the EIA report was limited and could be fleeting. There are still road blocks standing in the way of another rally. First and foremost is the expectation that U.S. shale production will continue to skyrocket. What surprised the market in the most recent EIA report was that weekly production was flat. But output should continue on its upward trend going forward. Second, U.S. exports may not remain at such elevated levels. The surprise stock draw owes a lot to the fact that U.S. crude exports averaged over 2 million barrels per day for the week ending on February 16. That is an exceptionally high level. For instance, over the previous five weeks, exports ranged from 1.25 to 1.765 mb/d, averaging 1.4 mb/d for the five-week period. 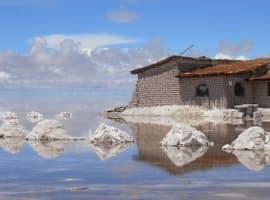 It is unlikely exports can continue at such lofty levels. Finally, a new pipeline came online in recent weeks, connecting Cushing to Memphis, TN. 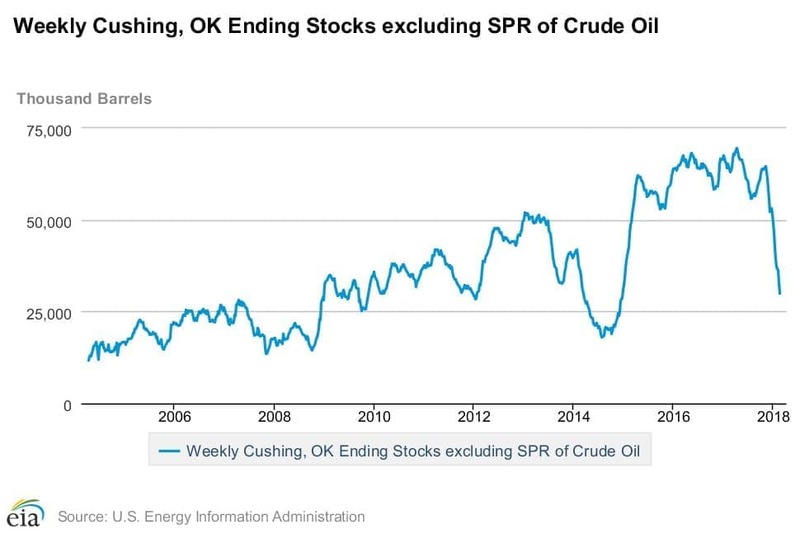 That has helped drain stocks in Cushing, creating the appearance of an oil market tightening faster than many thought. But the new source of supply to the Memphis region could displace oil that is shipped in from the Gulf. In other words, oil is moving around, but the market isn’t necessarily a lot tighter than it was before the pipeline opened. Cushing is just not hoarding as much oil as before. In other words, the most recent EIA report was bullish, and inventories at Cushing are very low, but don’t count on that trend necessarily continuing.